Celebration and reflection of the Lord's working in our midst. Do you have a story to tell? Each of our stories finds its place in the greater Story of God. It is the Story that gives each of us a place and a purpose through Christ. As the family of God, we love to pause at the end of each semester, and come together to share and celebrate what God has been doing in our midst. We want the stories and experiences of our brothers and sisters to be an encouragement for all of us. In ways big and small this past fall, we have seen and experienced God's grace, redemption, steadfastness, and mercy. We've seen His provision and His goodness. We've experienced His strength in the midst of struggles. These are the stories of God from the people of God for the people of God. This semester has beaten me down. It has shattered me in ways I had never expected with a series of one bad thing after another. The bad constantly felt as if it outweighed any good. Throughout it all, I have felt alone. I have questioned if God was there, and if He had given up on me. For the longest time, I couldn’t sense His presence. I felt lost with no direction. Right when I felt the most alone and completely forgotten, the Lord sent me the smallest signs to show me that, in fact, He hadn’t forgotten me and that I am not alone. He has placed people in my life that are a constant reminder of His faithfulness. Whenever I feel alone I can know He is there guiding my every step. This semester God has shown me that even in my loneliest times, He remains by my side. This semester, The Lord humbled me and reminded me how trusting Him is necessary to endure when life gets tough. Over the summer I was accepted into the nursing school and was overjoyed. However, through my own fault, I didn’t study as well as I needed to put forth my best effort. I didn’t pass the semester and had to wait most of this semester to see if I would be allowed back into the program. Sadly, I was not readmitted. As tough as that reality is to experience and accept, I know that all things are still working for my good. It may not be my plan, but I can trust God’s plan is better for me. My passion for nursing is not diminished at all, and this failure has only grown my desire to become a nurse. In this season of pain and uncertainty I find comfort in James when he shares to "Count it all joy, my brothers, when you meet trials of various kinds, for you know that the testing of your faith produces steadfastness. And let steadfastness have its full effect that you may be perfect and complete, lacking in nothing. If any of you lacks wisdom, let him ask God, who gives generously to all without reproach, and it will be given to him. But let him ask in faith, with no doubting, for the one who doubts is like a wave of the sea that is driven and tossed by the wind.” I have learned and grown from what has happened to me. I can fully trust that the Lord is still for me, and my faith cannot crumble when hardship comes even though I realize how much work it will take to reach my goal. Without my faith, I wouldn’t be able to have an enduring hope for the future. I am grateful for this community that I can be a part of and do life with. This community builds me up in strength, in endurance, and in faith and I could not imagine a better place to find this. I was never meant to come to the University of Alabama. All my life I had dreamed of one school, until the day came and I didn’t get in. Eventually, I came to terms with it, and began to set my mind on coming to Alabama. I was scared to death to come to a school so far away from home but I came in trusting that this was a part of God’s plan for me despite the fact I had no clue where it would take me. The first month here was the worst. I threw myself into every welcome event, every club, and every community in a desperate attempt to find friends. Nothing proved to work. I went to bed each night wishing I was back home in my comfort zone, but I kept finding myself going back to trusting that God had me here for a reason. I decided to go to the Well one Wednesday night with 3 random girls I had met to discover the sermon series was “home away from home.” The entire time I felt like God was speaking directly to me, encouraging me of his purposes for me, and showing me that this would be my home away from home. This was the night that my freshman year flipped. I was introduced to a freshmen life group leader that night who instantly welcomed me and made me feel loved. The Lord provided community through joining a life group and it has provided a group of girls that has continually pushed me toward Jesus. I am so thankful for the Lord providing the Well and this community that has quickly become home. At the beginning of this semester, I can specifically recall questioning God in so many ways. Why couldn’t I graduate early? Why did I have to be in a long distance relationship? Why did my friends have to graduate college already? Why didn’t I know what I wanted to do with my life? Instead of accepting the unknowns that God was permitting me to face, I interrogated Him daily. Every question consumed my thoughts, and my thoughts quickly turned to anxiety which then became doubt in God, His will, and His plans for my life. It wasn’t until the middle of this semester that I began to understand that while I may not know every detail of the specific plan, I know that His plan is so great that my human mind can’t even fathom it. I began to learn that I shouldn’t rush my graduation because He placed me at UA for a reason— the time I have here can be used to spread His gospel to those in my classes, organizations, and campus activities. I began to learn that he places specific people in my life that are near and far to lift me and to help me grow closer to Him. I can appreciate each relationship He has provided for me. Through the Lord’s grace, love, and mercy I have grown in so many ways this semester. Putting it into words is difficult because I can’t describe what He has done in my life this semester but I see now how great and mighty He truly is. Because of the Lord’s love, I can live confidently in the present without fear or anxiety about my future. I can trust everything is in His hands and I’m grateful that he has a purpose for all things even if I can’t understand the why. I have grown up in the military family lifestyle. My family has constantly moved around and my life has consisted of always moving in a new home or packing up out of one. You can only imagine how hard this would be when it comes to finding a church home. Often we would find ourselves scrambling to find a church family to join, only to have to say our farewells soon thereafter. When it comes to experiencing America, you could say I am well traveled. When it comes to visiting churches, you could also say I am well versed. I’ve stood up in front of everyone at church as a “visitor” and I’m no stranger to a countless number of connect cards. So while going to church is a part of my life, actually finding a church family to be a part of is a whole different concept. There have been seasons of years where I was disconnected from any sort of church community. 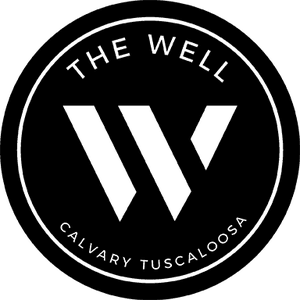 This year, The Well has given me what I have not known. Since my first weekend as a college student, Calvary Calvary has given me a church family to be a part of. 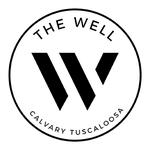 The Well has provided a home base for me to be surrounded by strong followers of Jesus who believe in me and love. To experience this and to know what this is like has meant everything. I am very blessed and very thankful for Calvary and The Well showing me and welcoming me as a family member within this community. Throughout this semester God has confronted my heart with the question: “What will it take for you to be content?” I proclaim my satisfaction in Christ. I tell my lost friends that Jesus is better than life. I sing, “Christ is enough” with everything in me. But what does it functionally take for my soul to be satisfied? Why have I found myself questioning God nearly every day? Why are my conversations characterized by complaining? Why have I felt deeply dissatisfied with my place in life, disappointed by others, discouraged by unanswered prayer, and defeated in ministry? The short answer, I think, is that my heart insists on placing itself above God. I so easily begin to believe that I know a better way for God to bring glory to himself through my life and my circumstances. How terribly and wonderfully untrue that is! He is the only wise God, he is God my Father, he is Creator and Sustainer of everything. But how do I actually get my heart to rest in the true, abiding, Christ-honoring contentment that we are called to in Scripture? This contentment where Paul says we live “as sorrowful, yet always rejoicing; as having nothing, yet possessing everything”? I’m not sure I’ve found this answer. But what I do know is that God has demonstrated his faithfulness by relentlessly pursuing my straying, discontent heart. He has relentlessly stripped away the things of this world that I have made into idols. He has reminded me time and time again that he alone is the ultimate treasure that I must seek. Ministry is not the treasure. My lost friends believing is not the treasure. The church moving out into its calling to all nations is not the treasure. Moving overseas to reach the unreached is not the treasure. No, brothers and sisters. Nothing in this world could ever be the ultimate treasure. Because nothing could ever compare to the reality of knowing Christ Jesus our Lord. In Him alone is the contentment our hearts search for. I entered UA as an insecure kid who didn’t know what she wanted, and put far too much value in the opinions and approval of everyone else. I was a people pleaser because I feared what would happen to me if others disapproved. The past 3 1/2 years have been plagued with so much hardship. Brokenness, doubt, more funerals than I care to mention, and friends who didn’t stay when I needed their support the most. I had so many reasons to be mad at God, but looking back I can see even now how each thing that has happened has been redeemed. I lost fair-weather friends and the Lord replaced them for the closest relationships I’ve ever had. Going through treatment for an anxiety disorder taught me the power of the word “No" and taught me to value my health over the approval of others. The doubts I had forced me to search for the Lord and He has filled me with renewed confidence in His character and who He is. How can I be mad at the Lord when he has always put me in the right place, at the right time, to provide for my needs? He has taken my brokenness and shaped me into a stronger, braver, and more content person than I ever thought I would be. As I enter my last semester, I finally see how God has shaped me into a person that I am proud to be. For the first time in my life, I am able to stand firm in the contentment I have from the Lord and embracing who He has made me to be. I fell apart in high school after I lost my virginity. I felt like I had failed God, and I had committed a crime that would never be absolved. I asked God every day to forgive me for what I had done, but all I felt in return was guilt and shame. I came to Calvary and The Well and at the end of my freshman year, I did what I thought I would never be able to do. I told someone what I had done. Then, at the beginning of my sophomore year, I included it as part of my testimony. I started telling others that were close to me left and right because I no longer wanted to be bound by the shame of a past sin that happened 4 years ago. Each time that I shared my story, I heard the words that I struggled to believe: I was forgiven by God. The truth was that I had been forgiven since the moment I first cried out to God for forgiveness. I didn’t have to keep asking for what I had already received. I am so thankful for this community that has challenged me and loved me in my weakest, most shameful moments. I know now that I am forgiven and I am loved by God. There is nothing I can do to change this. I can tell others of the forgiveness I have found in the Lord because it makes me free and can bring freedom to others. The heavy chains that had worn me down no longer tell me that I am not good enough. The truth is I am loved, I am forgiven, and I am redeemed by God. Have you ever poured into someone and seen minimal growth in their spiritual life? Have you ever had someone so interested in Jesus yet so hesitant to follow Him? Have you had someone over at your house, spent hours talking to them about life and what Christians believe only for them to leave still wavering on what to do with the decision that declares their eternity? This has been me, and I have felt tired, frustrated and, at times, like I was wasting my time. This semester, the gospel of Mark has quickly reminded my emotions of the truth. Mark 4 talks about the parable of the sower. We have been given the seeds of the gospel and we are called to share this life-changing truth so that it can be planted into the hearts of the people of the world. After the person has been exposed to the gospel, we are called to then continue to invest in them. We don’t know the end result of someone’s salvation when we share the gospel with them. Will they trust in the Lord? Will they even be remotely interested? We are only called to be faithful and obedient with the part the Lord has asked us to play in another’s life. I have a friend who believes there is a God, he goes to church every week with a family in Tuscaloosa, and he even signed up to come with me to Fall Retreat on the last day of registration. At the end of Fall Retreat, I asked him where he stood with his relationship to the Lord. He said to me, “Following Jesus is a big decision and I don’t want to just do it. I want to know more about Him before I consider this as my faith.” He went on to talk about how he still felt far from knowing who this Jesus guy is. Over the past semester I have been so grateful to see a glimpse of the Lord’s work in the life of my friend. Because we serve a God that promises He will be exalted among the nations, I can trust there is no power that will stop His name from being known to people right here in Tuscaloosa and all over the world. This semester was life changing for me. This story is about how Christ worked in my life even when I didn’t know Him. Three years ago I left the church, I knew I wasn’t saved and I was fine with living a life of drugs, alcohol, and the pleasures of life to cope with my depression. After a year of living in Florida, I moved back in with my parents in Alabama and chose to leave the drugs behind me in Florida because I thought I had my depression under control. I faked the christian lifestyle to make my parents happy. This past January I decided I wanted to go to school so I started classes at Shelton State. I got involved in a relationship shortly thereafter, because I was looking in all the wrong places for happiness— I looked to my girlfriend to fill the empty hole inside of me and to give me worth. When we broke up in late July, it crushed me. I lost all desire to live and I lost all hope. On August 4, 2018 I decided to take my own life because I couldn’t deal with the pain anymore and I lost all hope. I turned my location off so I couldn’t be tracked, but my mom knew something was wrong. She called Alabaster police and they found out where I was. As I was taking the safety off my gun the police showed up. The red and blue lights made me freeze. From there I went to the hospital and got the help I needed. That night one of the detectives named Josh started sharing the love of Christ with me. I told Josh I didn’t believe in this love because I felt afraid, alone, and unloved for everything I had done. Josh said he was going to pray I would come to know this love of Christ. On September 19, 2018 I was scrolling through Facebook while doing homework. I came across an ad about events in your area and The Well popped up, leading me to a link for a connection card. I filled out the connection card and later on that evening I got a text from Aaron to come to the well. Josh called me that night to check in and I told him about the ad and the connect card, and how I was debating to go. He told me to just go and give it a try. As I pulled into Calvary’s parking lot, my friend texted me that there was a party with free alcohol. I don’t know how, but I immediately responded that I couldn’t go because I was at church. My anxiety was all over the place as I walked inside because I didn’t know anybody, I was all alone, and I didn’t know what to expect. I sat in the back pew and next thing I know someone comes up next to me and sits down and introduced himself as Hudson. Hudson made me feel welcomed and seen that night in a way I wasn’t expecting. The sermon that night was in Mark about immediately going and following Jesus. The Holy Spirit hit me and showed me that Jesus is the only thing that could ever fill the hole inside of me. I heard the Gospel in a new way— I heard the love of Christ that was available to me. I remember feeling so condemned and guilty by my sins, but as I started praying for God to forgive me for everything I had done, I received His forgiveness and this gave me peace, wholeness and a new hope. I prayed for God to control my life and to be my leader and that I believed what Jesus had done for me on the cross. On September 19, 2018 I accepted Christ. Since that night, I have now found my happiness in Christ. I realized on the night in August, it wasn’t my mom, the police, or Josh that saved my life — it was God. In Christ I have found purpose and joy in a way that drugs, alcohol, and relationships could never give me. I have a future in Christ — before knowing Christ everything was dark. I didn’t have hope, I didn’t have purpose, and I didn’t have meaning. Meeting Jesus has given me that new hope, a purpose, and a meaning to life. I have assurance that I’m fully loved by God, I am not alone, and God sees me. I look back to where I was and the recklessness that was my life. I see now how God can use even the worst of my sins and use them for good. I can see how powerful God really is because of the ways He has redeemed my past and healed me from it.